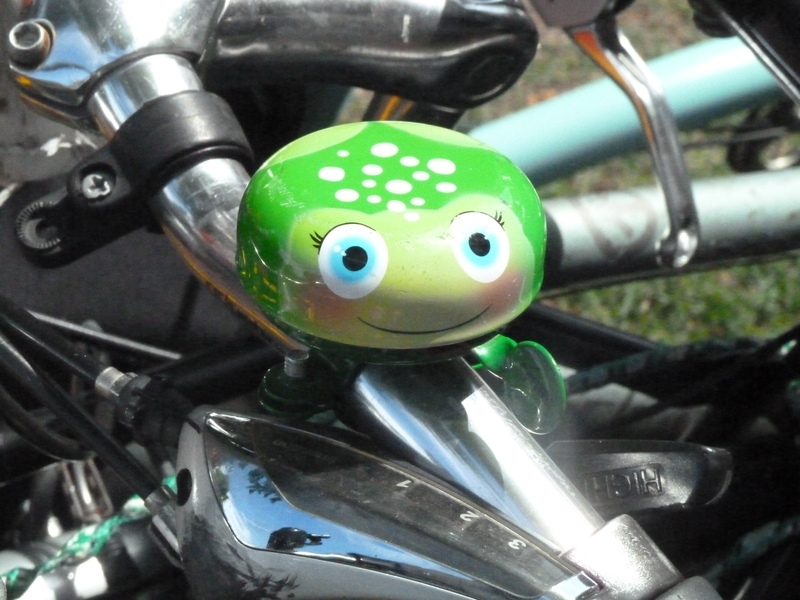 Crafty Bike Girl's Bike Blog – Help! I think I've become a cycle campaigner! Help! I think I've become a cycle campaigner! NOTE: These are all pedestrians. Today a 72 year old man was hit by a bus in Sheffield and later died in hospital. 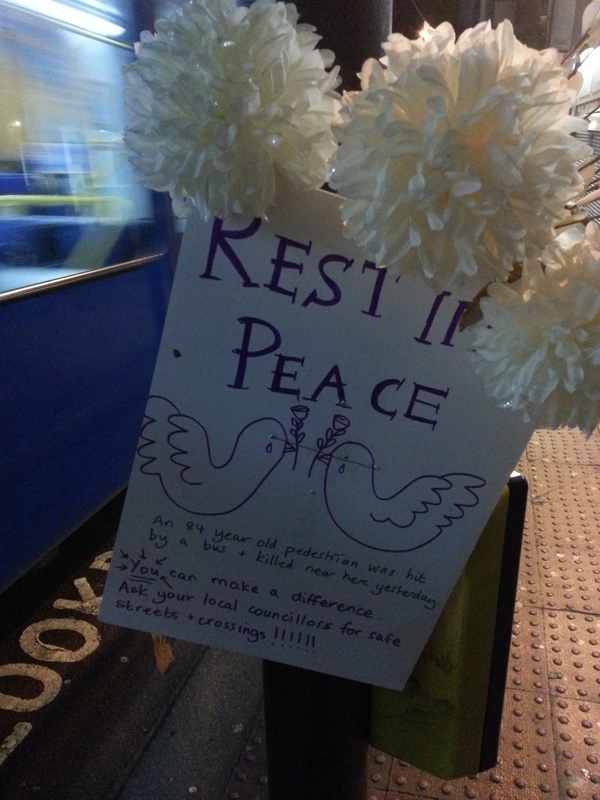 He is the third pensioner to be killed by a collision with a bus within the last 5 weeks. I’m afraid I am too tired and sad to do any more than record the details before they disappear and humans become statistics. 25/10/14: 93 year old Betty Vallance was hit by a reversing car at approx 11:00am on Sandygate Road, Sheffield. She was taken to hospital and died five days later. 22/12/14: 86 year old Sidney Nicholson and his dog Paddy were both hit by a car and killed as they crossed Gleadless Road, Sheffield at approx 5:15pm. NB. This information comes from appeals for information from the public on the South Yorkshire Police website. These are not made for every collision that happens. See my previous post. An 84 year old man died yesterday after being hit by a bus in Hillsborough, Sheffield. I’ve only lived here for 6 years or so, yet I can recall so many incidents like this in the area in which I live, far too many. There’s initial outrage or perhaps more likely talk of ‘a tragic accident’, then tolerance, then they are forgotten. For every one of the 599 pedestrians injured in road collisions in South Yorkshire in 2013 there is a human story. A real person. 136 of these humans suffered serious injuries. 9 were killed. In 2013 more of us died on South Yorkshire’s roads than because of violent crime, so where’s the outrage? From my own monitoring of the South Yorkshire Police website, the gentleman who was killed yesterday was the 21st pedestrian aged 60 and over to be hit by a vehicle in the last 12 months in South Yorkshire. The majority of people suffered serious injuries and 4 died. Time for a Sheffield version of this? Before you go digging into road incident statistics, it’s important to understand a little about how they are reported and recorded. 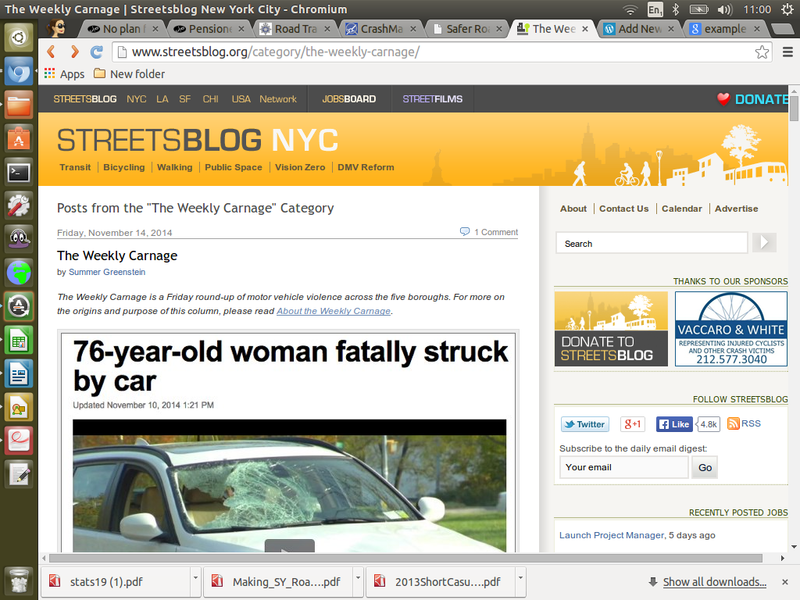 In the case of traffic collisions where someone has been hurt, police officers should fill in something called a STATS 19 form (example here). The information collected from these is collated and is intended to help local and national government gather intelligence on road traffic incidents, feed into planning for road safety improvements and use of resources etc.. STATS 19 data should be collected for every incident in which someone is hurt. STATS 19 data is publicly accessible here, but there is a LOT of it; you will need a fine tooth comb and will likely get disheartened if you’re not use to looking at such things. You will most likely have come across STATS 19 data which is used by local authorities when they release reports on local road collision statistics. This is more accessible, often with graphs and bite size summaries, but the detail is lost, as is the sense of individual victims as human beings. 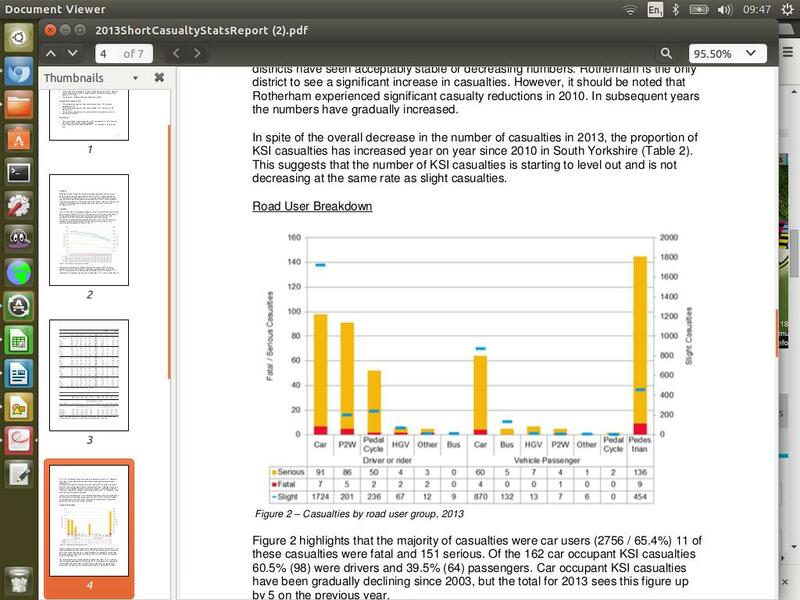 There are other services which provide the data is a more accessible way, such as crashmap, which charges a small fee to look at details of individual incidents. Pages like these can be a good way of getting information about road incidents which have happened recently and if you want to build up a picture of something like pedestrian fatalities before the official figures have been released. However you will only find information about incidents which are under investigation where the police are calling for information. Other incidents (the majority of road collisions) are not listed here. Often the only way to find out about road collisions in your area. Local newspapers frequently report such incidents, and may offer more detail than the police website and council reports. 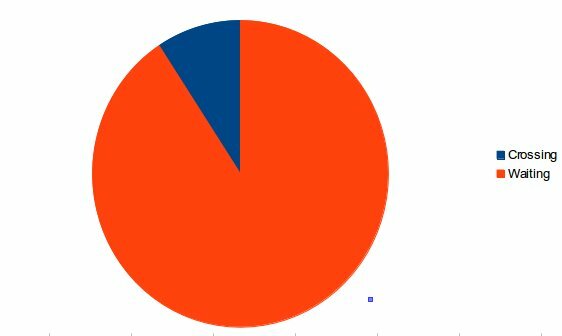 This can be the only way of finding out the ‘human side’ to an incident before it gets ‘lumped in’ with general statistics and fades away, unnoticed. Sheffield Communities Cut in Two by Traffic? 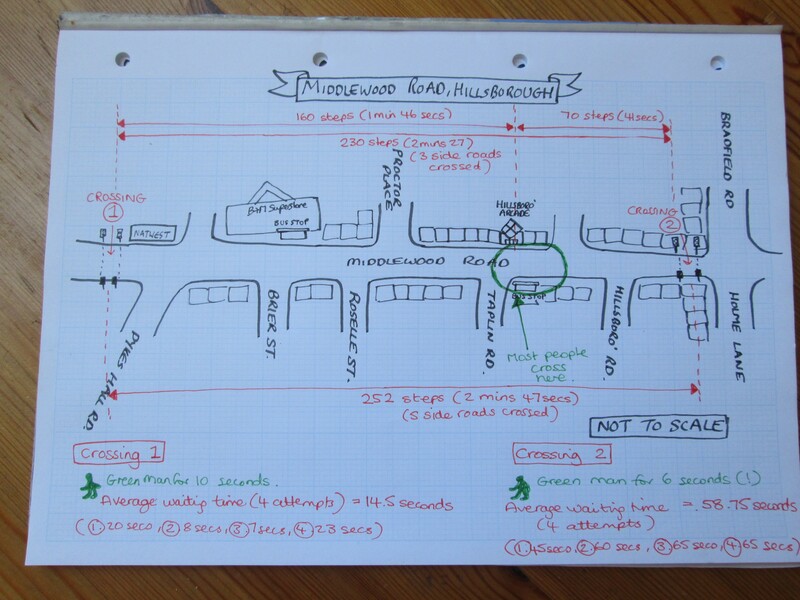 With so much talk about closing the roads from time to time in Sheffield in order to allow communities to come together, it prompted me to take a look at my own community, Hillsborough in north Sheffield. I love Hillsborough, it is friendly, has a good high street, local shops and people will stop you for a chat or give you their opinion! But it was also recently described by a friend of mine as “a pedestrian’s worst nightmare”. Despite my first reaction being to spring to the defence of Hillsborough, once I started thinking about it, I realised he was right. 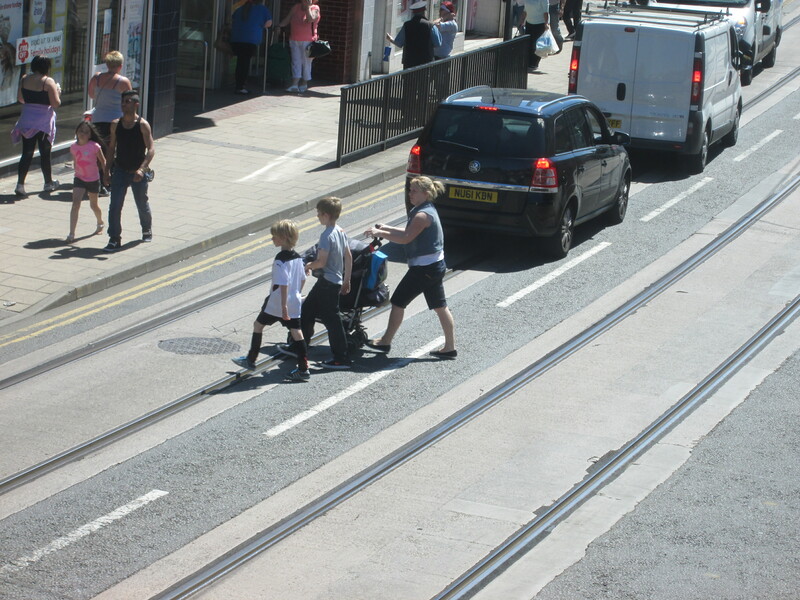 A mother and children choosing to cross the road here, rather than take a long detour to the pedestrian crossing. The heart of Hillsborough is split in two with heavy traffic making it difficult to cross Middlewood Road to go from shop to shop. There are two pedestrian crossings, but they are spread far apart. 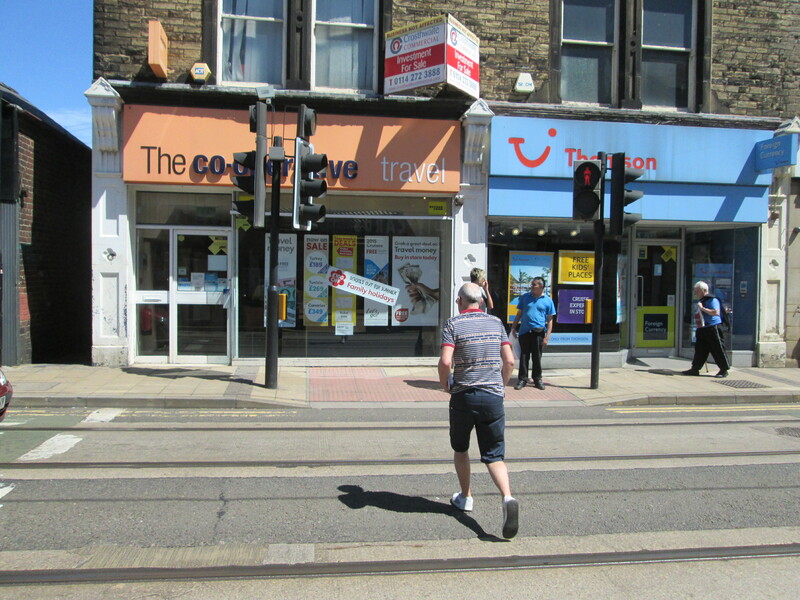 The result is that most people choose to cross near Hillsborough arcade, approximately 2/3 of the way along. 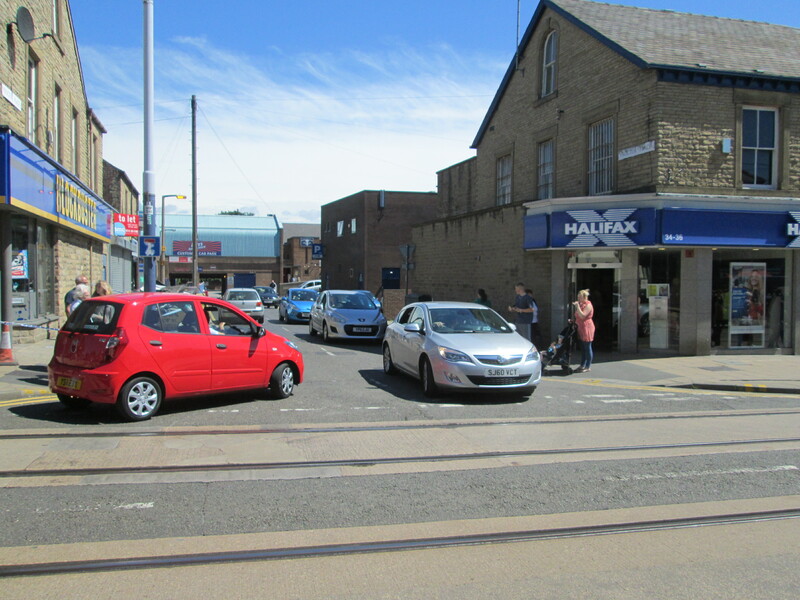 It takes them a long time to cross here, as there isn’t often a break in the traffic, and drivers seem unwilling to give even in an inch in the queue to let people walk across, but it is still quicker than walking the extra distance to the crossing, and then waiting for the cycle to green. I have seen mums with prams and elderly people stuck in the middle of the road because the traffic would rather gain an extra few seconds than let them finish crossing. Armed with no more than a kitchen timer, I set out to investigate. I counted the number of paces between the crossings (walking at a steady pace but not rushing. I am 5’10” tall and have a long stride). I also timed how long each of the two crossings took to change to the ‘green man’, and how long it remained. Crossing 2 is the worst culprit, with a staggering amount of time spent waiting and then having to dash across in a measly 6 seconds of ‘green man’. In fact, most people who were waiting to cross whilst I was timing did not wait, and took their chances, dashing across when they judged it was clear. “I’ve had enough of this!” A man decides to take his chances. 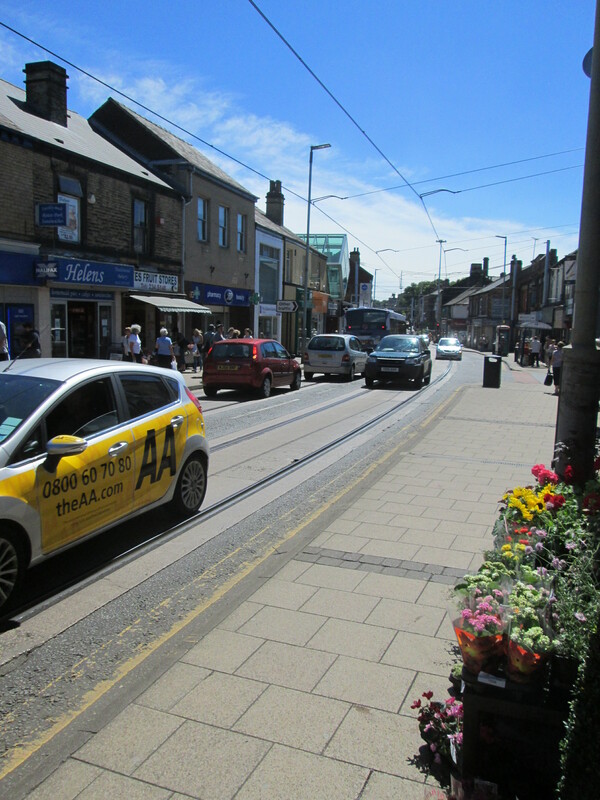 Most of this traffic is through-traffic, and is not visiting the shops and local businesses on the highstreet, yet it dominates the area and changes the whole atmosphere of the place. It makes it really hard work to get out and about as a pedestrian, especially if you are elderly or not very mobile. 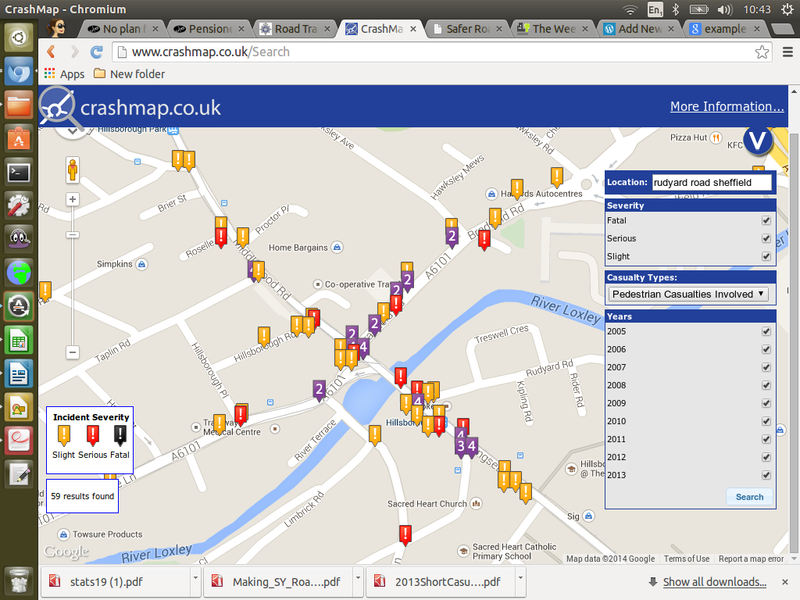 Perhaps there are some clues here as to why some high streets are struggling? Streets should be for the people who live in, and use that community, but more often than not they are simply highways for traffic, where the people who live there and support the local economy coming far down on the scale of priorities for planners. This is something that must change, but at the moment it’s not even on the agenda in Sheffield. You can do your bit by taking an interest in your own local community & repeating what I’ve done here. All you need is a kitchen timer and a thick enough skin to deal with the odd looks! TDF Shows How Life & Community Spring Up When Streets are Places for Living, Not Just For Driving! 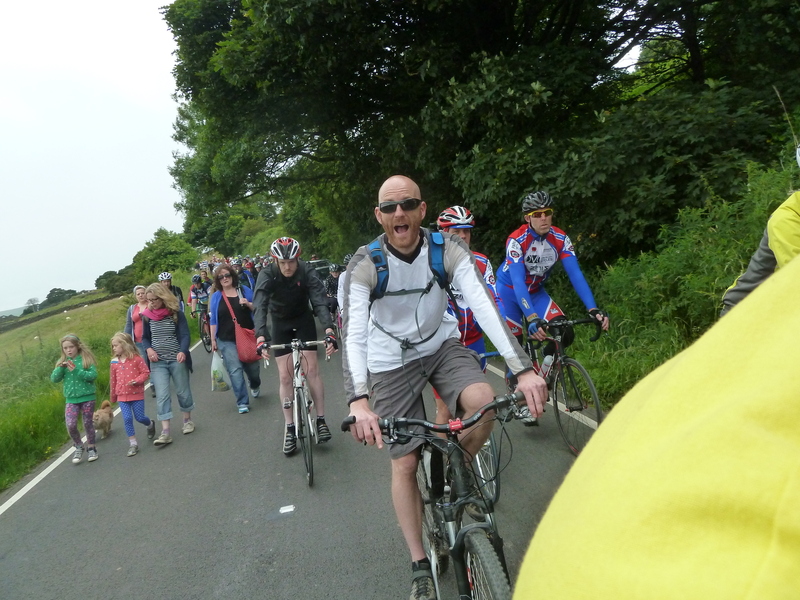 I was one of the 1.5 million people who set out to watch the Tour in Yorkshire yesterday. With bike panniers heavily laden with picnic, we set out on our bikes, heading for Bradfield, just outside the fine city Sheffield. 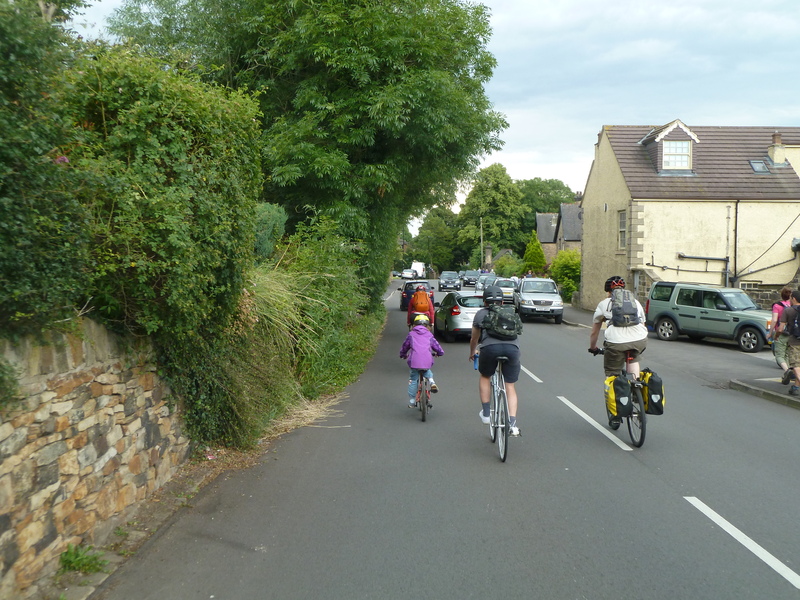 For me, this was the unexpected best part of the day – riding up along Loxley road, and finding ourselves part of a wonderful human exodus of people who’s left their cars at home and were walking and cycling en masse. Normally when you’re on a bike or walking, you’re in the minority, and constantly being passed by fast moving traffic, but yesterday there were so many of us, and people riding with children on tag-alongs and child seats. It was a wonderful vision of what Sheffield could be like, if we truly embrace cycling and takes this chance to become a liveable city, and a place centred around people not just cars. 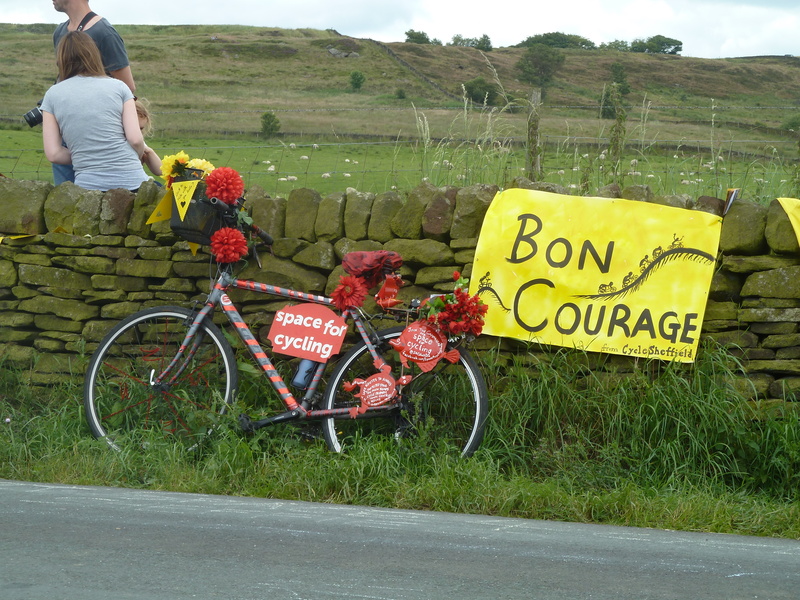 Cheering on the TDF riders was undeniably wonderful, but for me, yesterday was a demonstration of the life, community and creativity that springs up when roads become places where the community can come together, rather than simply highways for motor traffic. 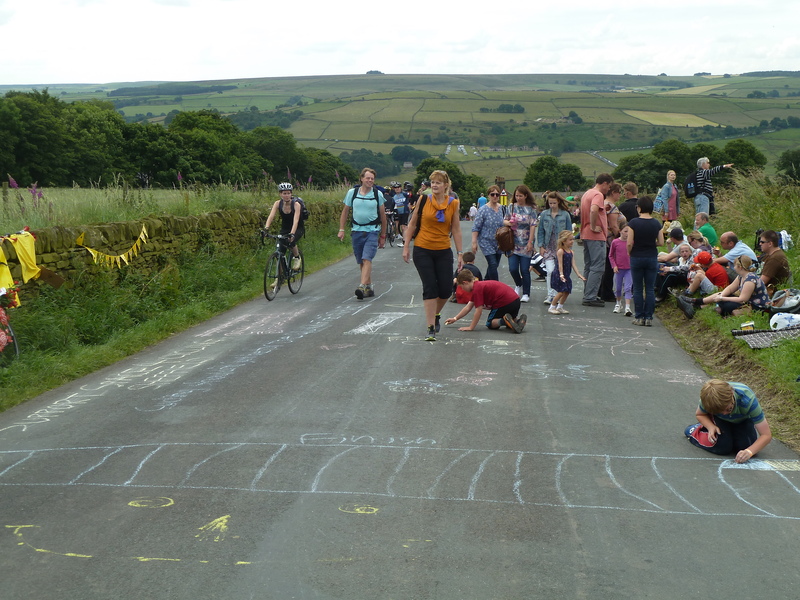 When we brought out a big pack of chalk, it was like a magnet for children, who all ran over and immediately started writing and drawing on the road, completely absorbed in what they were doing. Another small child was romping around the field behind the dry stone wall, oblivious to the cycle race but happily throwing a frisby for himself and then searching for it in the long grass. Currently listening to a Radio Sheffield phone-in about the Tour, which is overwhelmingly positive. At least two callers have suggested that we need to close the roads more often, and allow the community to come together. Sheffield is our city, and are our home and I hope the seeds of ideas like this, planted by the Tour’s visit will start to germinate. What can you do in your local community? You need to act now, before this warm & fuzzy glow is forgotten! A family riding together after the Tour. Not a sight you see often in Sheffield. 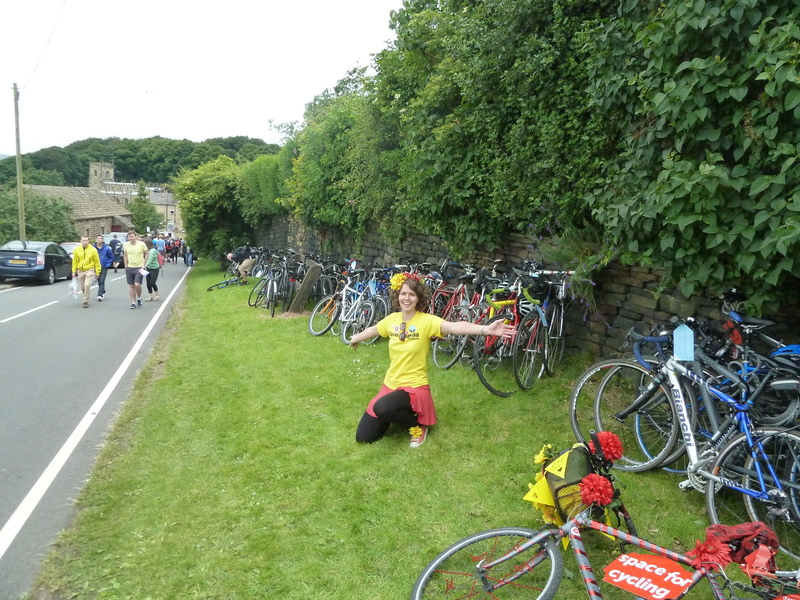 If the Tour has inspired you to get a bike, then please join Cycle Sheffield. We are the voice of cyclists in Sheffield and we’re a friendly group campaigning to make Sheffield a more liveable and bike-friendly city. We believe passionately that cycling should not just be for the quick and the brave! Membership is only £6 for a year, and the more members we have, the louder the voice we have, plus it’s a great way to make some new cycling friends! Q: Would a former TDF rider be happy for his children to get on their bikes in Sheffield? BBC Radio Sheffield’s ‘Cycle Heaven Live’ was a unique chance to question experts in the field of sports cycling in the run up to the TDF. Not surprisingly, at a TDF related event, most of questions related to tour tactics, nutrition and the cutting edge technology which is part of today’s Tour. However, with so much discussion about the legacy of the Tour here in Sheffield, there was one question I was dying to ask. I wasn’t overly optimistic for a response at any great length at such a sport-focussed event, and with so many other people keen to ask questions, but the topic prompted some very insightful and telling responses which should prompt some soul-searching at Sheffield City Council and beyond. I’ve focussed (rather unfairly) on Malcolm Elliott’s response, as the only former TDF cyclist, however the responses from the other guests are equally thought provoking and well worth reading. You can listen to Cycle Heaven Live on the BBC Radio Iplayer here, for the next few days. Today is the day of the full council debate triggered by a 12,000 signature petition, presented in response to the horrendous, needless and preventable death of teenager Jasmyn Chan, killed by a hit and run driver while crossing a road near hear home in Sheffield. This morning’s Sheffield Star newspaper reports that council officials have announced that they will develop a safety scheme on Normanton Hill, to be implemented in the 2015/16 financial year. However the real shock in the article is reading about the points system which the council use to classify which roads are the most urgent for safety improvements. “…for a road to qualify as a priority, four or more fatal or serious accidents – or three involving children – per kilometre over a period of five years must have occurred. There can be no clearer reflection that we live in a city where people’s lives are way down the council’s scale of priorities when compared to the convenience of motor traffic. People’s freedom to move around in the areas they live has been completely designed out of large parts of our city. We need to drastically change the approach we take to designing our roads and urban spaces, and design them so that they are liveable neighbourhoods where people are free to enjoy their own streets and neighbourhoods without the fear of motor traffic. If you think I’m exaggerating, just have a think next time you take a walk outside your home, or your office at lunchtime. How long does it take to wait at a pedestrian crossing (sometimes in several stages) to cross a road? 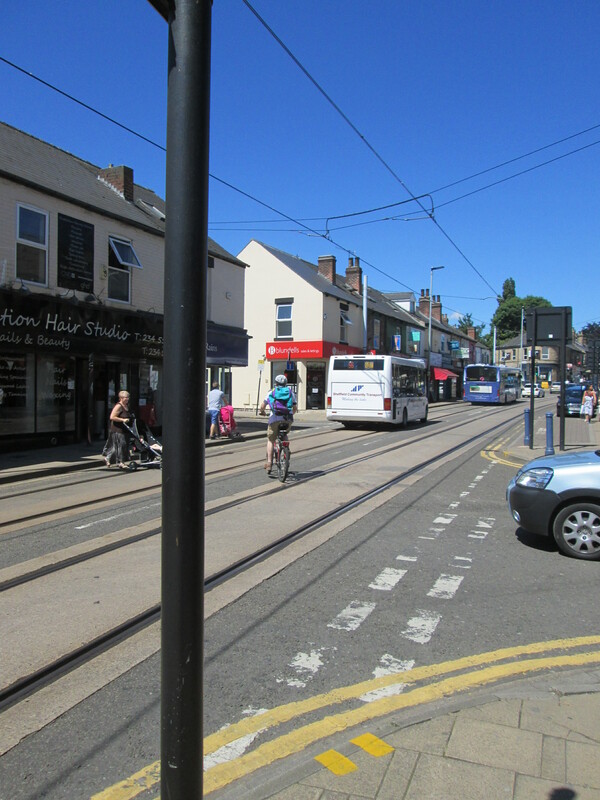 If I want to nip out for a sandwich in Hillsborough, in order to cross its busy highstreet, I have a choice of two pedestrian crossings, at either end of the high street, a good distance apart. The lights take forever to change to the ‘green man’, and as a result, most people simply take their chances. This may not seem like a major thing if you are young and fit, with your wits about you, but out of my window I see countless mums with prams, shoppers with bulky bags, and elderly people struggling to cross the road in their own neighbourhood. And we wonder why local businesses are closing? If you think this is just the result of outdated design, think again. Local people are still coming last in brand new schemes with workmen on the ground RIGHT NOW. 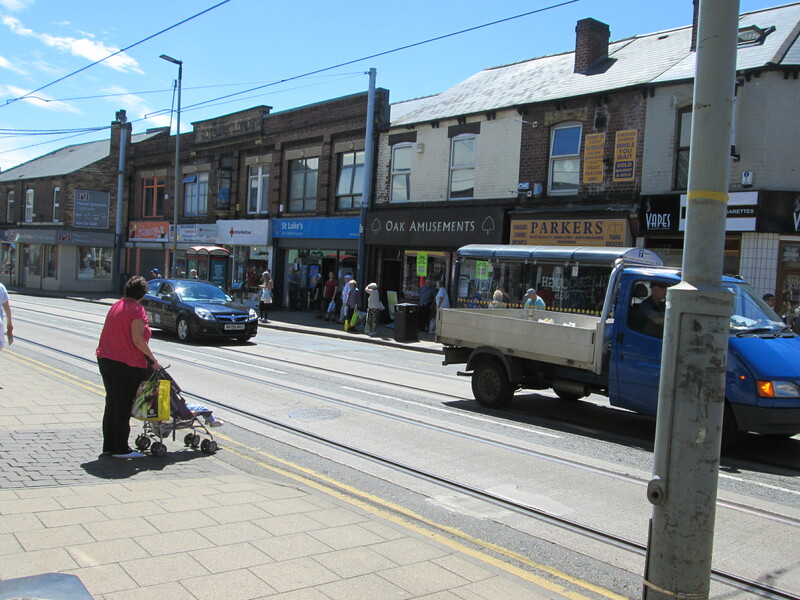 The new Penistone Road redevelopment which is currently under way will see the complete removal of a two-stage pedestrian crossing close to bus stops, Hillsborough college, a large supermarket and a DIY store. 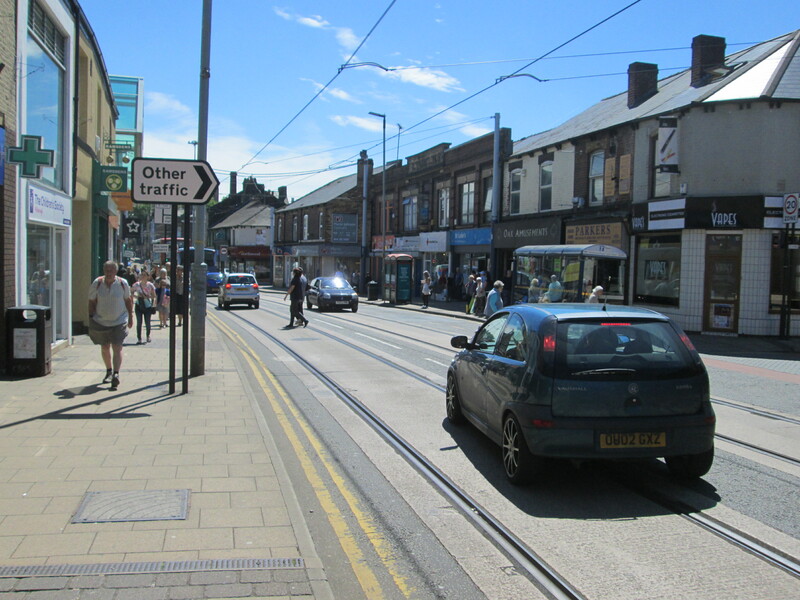 Once the crossing has gone, it will mean an extra 500 yards walk just to cross the road if you are heading for the high street. Then when you get to the crossing, it is in three stages, and takes over 4 minutes in total! Design like this is fundamentally bad for everyone. Perhaps, improvements will be made on Normanton Hill, but without a wholesale change in attitude from Sheffield City Council, and a commitment to make Sheffield into a liveable city, then Jasmyn will be the first of many, and by the council’s own criteria, many more will need to die or be injured before they sit up and take any serious notice. Shared use paths: Creating conflict with people walking and normally not safe enough for children to use without eagle-eyed alertness from an accompanying parent. More Bells Please, We’re British! A quick post inspired by my ride to work this morning. Leaving at a slightly different time to normal, naturally I was pleased to see so many people riding bikes along the cycle path, more than at my usual time. Normally my main concern on my commute is looking over my shoulder to watch out for cars turning into the frequent side roads along my route, and keeping an eye out for people walking as a lot of the route is basically a pavement with ‘shared use’ signs plonked on it. However, this morning a swift and silent rider undertook me extremely closely on the approach to a crossing, where I was hanging back as there was a man walking and I wasn’t sure which way he was going to go. It made me jump out of my skin, and I came very close to ‘road rage’. I am always loathe to criticise cyclists, or to add to any of the done-to-death stereotypes, but I really wonder, why are the British so shy about ringing their bells? Perhaps it’s the perception that bike bell = “Get out of the way!” that means people only use them as a last resort? When I ring mine along a shared use path because I’m approaching a family walking, sometimes the parent will make a grab for their wandering child and scream and them in total panic. This makes me feel bad, because I’m not ringing me bell to say “You’ve got 5 seconds before I run you down.”, I’m doing it to say “Just so you know, I’m here. I’ll pass you if it’s safe.” You should of course always give way to pedestrians on ‘shared use’ paths but a quick ting of the bell is preferable to silently rolling along behind them like a sinister two-wheeled shadow, or even worse, just going for it and charging past regardless. Better urban design can solve most of the conflict between pedestrians and cyclists, which are mainly caused by lumping us together on poorly designed paths. However if we want to see #space for cycling, we need win hearts and minds, and we won’t do this by creeping up on people. Come on Brits, get a bell, and don’t be afraid to ring it! I only take the train with my bike perhaps five or six times a year, and have learnt to book well in advance, and make the correct reservations for intercity journeys. However when it comes to local services which do not require reservations there always feels like there is a ‘pot luck’ approach to what sort of bicycle space will be on board. I recently travelled from London to Brighton at the weekend. The train pulls in and there is the inevitable scramble, fast-walking up the platform to try and spot the bike carriage. Through the window I spy a bike already in the bike space and get on. It is in the area by one of those robotic revolving door toilets and, glad that there is enough space, I lean my bike up against it and go and find a seat. The journey passes uneventfully. It is a pleasant sunny day and nice to have some time to read a book. However when we reach Brighton and it’s time to disembark, a lady accompanying another lady in a wheelchair chastises me for using the ‘wheelchair space’ and tells us with some emotion that I should ‘really check when we are allowed to travel as [we] are not allowed to be here’. I am mortified to have caused such upset, and apologise profusely. I get off the train with a horrible gnawing feeling in my chest and feeling like a truly bad person. Bikes or wheelchairs? The two aren’t exactly interchangeable are they? 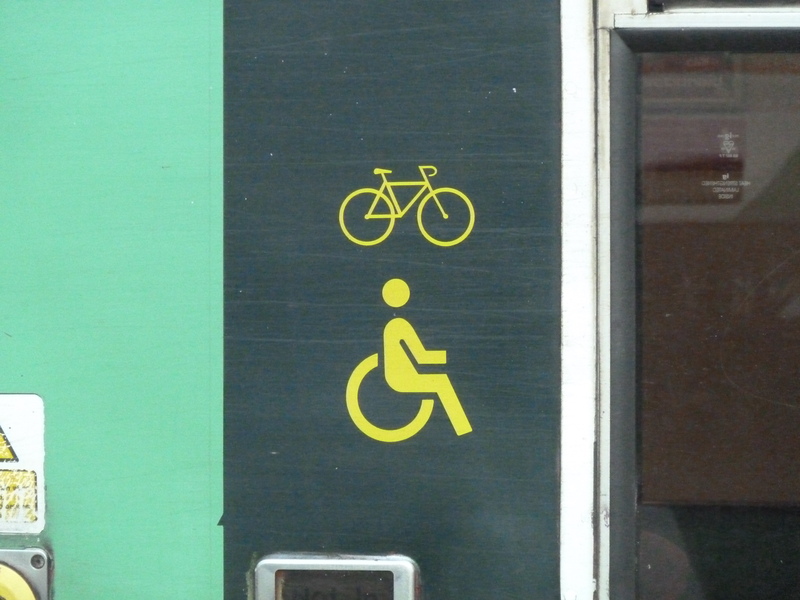 It seems pretty likely that people with bikes and wheelchairs are both going to want to be able to travel? However it seems it is pot luck as whoever gets there first. From reading up on the train company’s policy, wheelchair users do have priority over these spaces and it is up to people with bikes to vacate them. I will know this for next time and will keep more of an eye on who is getting on and off, but London to Brighton is a journey of over one hour, does this mean that if you are travelling with a bike you need to allow extra time in case you have to disembark and wait for the next train? It would seem so. It is just such a shame that that by providing inadequate facilities, unnecessary animosity is created, and travelling with either a wheelchair or a bike much less pleasant or straightforward. Until bike hire schemes are widespread, people will continue to need to travel with their own bicycles*. I would be happy to buy a ticket to do this, if it eliminated the uncertainty of whether or not there will be space for my bike, a space that was legitimately mine for the duration of that journey. *When discussing this with some friends, it was pointed out to me that many people with disabilities use adapted bikes which can give them an improved degree of mobility. For this reason, using hire bikes is not an option for them.